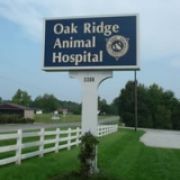 Welcome to Oak Ridge Animal Hospital! We strive to be your pet's family doctor by providing the best service and highest quality veterinary medicine. Our professional doctors and caring staff are ready to assist you with your pet's every need. Since 1989, Dr. Denise Sacks and Oak Ridge Animal Hospital have offered outstanding veterinary care to Northwest Guilford County, Greensboro, Oak Ridge, Summerfield, Kernersville, Colfax, and surrounding communities in North Carolina.